Why do Indonesian Muslims join Islamist extremist groups? This article explores four pathways to entry into Indonesian militant groups: study sessions, local conflict, kinship, and schools. It argues that within all four of these pathways, social bonds and relationships are the common thread in encouraging entry as well as in fostering commitment. Specifically, these relationships contribute to the formation and eventual consolidation of one’s identity as a member of the jihadi group through regular participation in activities, attending meetings, narrowing the circle of friends to those within the group, and participating in increasingly risky and possibly violent activities together. 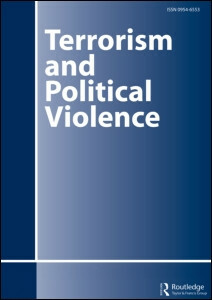 Drawing on original fieldwork including 49 interviews with current and former members of Jemaah Islamiyah, Mujahidin KOMPAK, Darul Islam, Mujahidin Tanah Runtuh, Indonesia’s pro-ISIS network, and other jihadist groups as well as 57 depositions and court documents, this article explores the development and evolution of these pathways and how relational ties play a role in each.